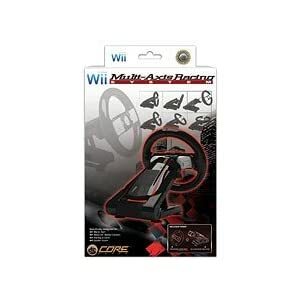 You only need to place your Wii remote inside this lightweight wheel, and you are ready for steering any racing game. The textured surface provides an excellent grip. 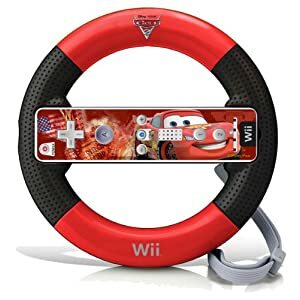 The wheel comes with a removable Wii remote label with official Cars 2 artwork, which can be applied to your remote. Classic red and black colors with perforated grips, makes it the best accessory. Get a realistic driving experience with this precise control for all your racing and driving games. Just snap in your remote, and you have easy access to all your buttons as well. 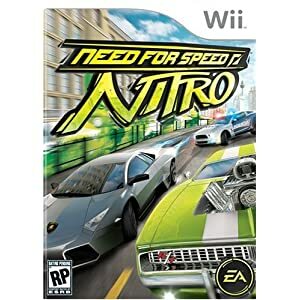 Actually, sit on a car while you race away on your Wii games. Capable of supporting 300 lbs, this car is safe for kids and adults, and the wheel can house the remote with the motion adapter. 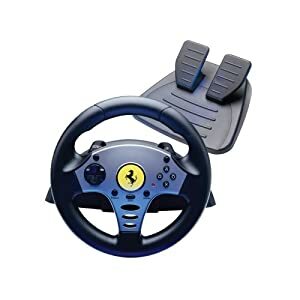 Officially licensed by Ferrari, this wheel comes with two gearshift levers, and a pedal assembly for precise braking and acceleration. Provides linear resistance, and all controls are reconfigurable. This wireless racing wheel does not need batteries, and you only need to snap in your Wii remote. 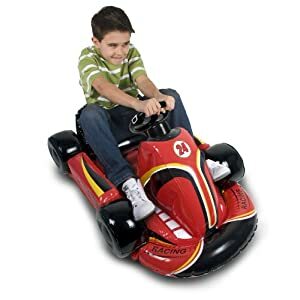 Gives precise control and works with Mario Kart. 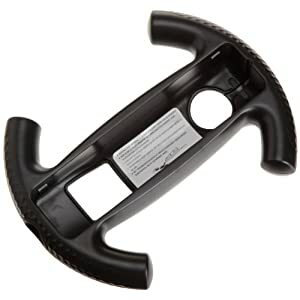 Very comfortable with foam grips, this wheel enables you to play racing games over long durations. Snap in your Wii remote for easy access to Wii library, and for moving between games. Simulate real driving with this smart wheel that re-centers itself. The tilt provides, up, down, and left, right movements across multiple angles. It can be securely mounted with a table attachment. 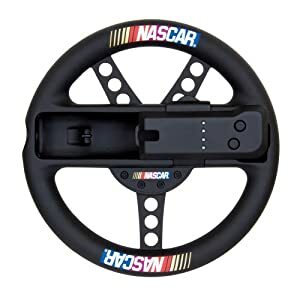 Branded by NASCAR, and having MotionPlus compatibility, this realistic wheel offers infrared and audio pass-through, and convenience of relocating 2B and one button. 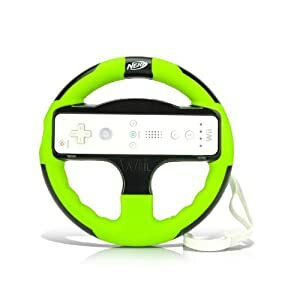 These wheels are the perfect accessory for playing Mario Kart, enhancing the gaming experience. The control is ideal for beginners and young players as well. This is adrenalin packed racing game, where you are a marked man named Jack, speeding across the route to New York from San Francisco. You have to stay ahead of the men and police who want you dead. 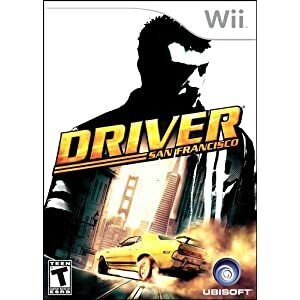 With this game, you will relive the car chase experience of the movie Driver. You can drop in and out of co-op enabling each player to shoot various weapons. Five multiplayer modes supports up to four players. Experience driving 12 different vehicles, each equipped with its own set of weapons and a particular driver character. Race along 13 themed tracks, and choose between six racing modes. Choose between varieties of vehicles ranging from fire trucks to Hollywood APCs. Race in the day or night, through eight tracks, each set in a different country, and raise the speed level with Turbo Boost. Snap in your Wii remote in the wheel, and you are set for an adventure with Mario and his friends. The advanced graphics and new tracks enable players to undertake skill-based mission, or battle it out in arenas. 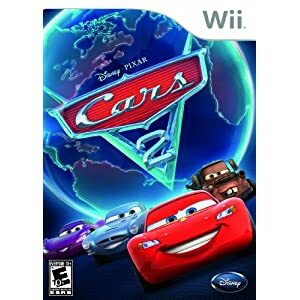 Based on the popular film storyline, players can choose between 20 characters, take part in hazardous missions equipped with high-tech gadgets, and perform outlandish maneuvers with the cars. 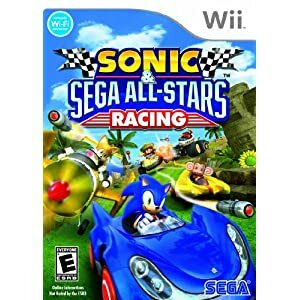 Race along with the Sonic team across themed tracks, in all types of vehicles ranging from planes to even a banana mobile. Every character has a unique All Star move and one can compete in multiplayer mode as well. Experience the raw power of these massive vehicles as you plough through cars, and demolish everything in you path. Choose between 15 reversible tracks, and 12 crazy characters. Get the realistic experience of driving this classic beauty with the handle bar. Set across cross-country and other beautiful tracks. Select your ride between 30 vehicles and customize them in depth. The game provides 15 fully featured tracks, complete with canyons, jumps, events, and traffic. 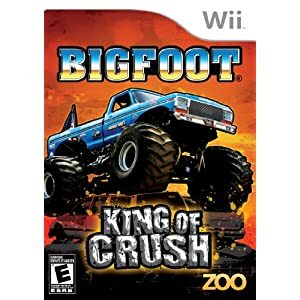 Some of the most exciting accessories for the Wii system of motion-controlled video games are tied in with its driving games. 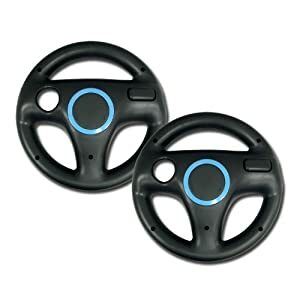 Wii wheels are exactly what they sound like – driving wheels that can be used in tandem with Wii remotes to control the car in the game like a car in real life. Used for top-selling games like Mario Cart Wii, GT Pro Series, and ExciteBots, the Wii Wheel is a must-have addition to your gaming repertoire. 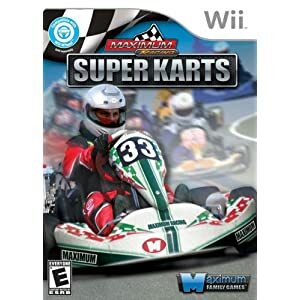 What Games Use the Wii Wheel? 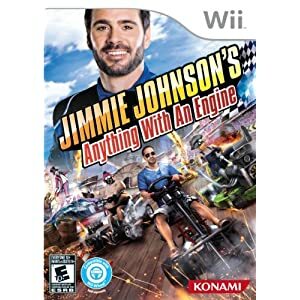 As you can see, the list of racing games for the Wii is quite expansive, and is only going to get bigger as developers figure out more and more interesting ways to use the Wii Wheel to enhance the gaming experience. 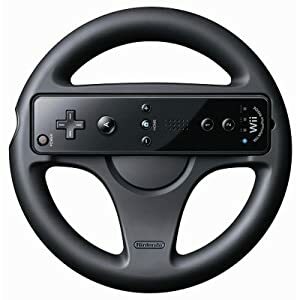 How Is the Wii Wheel Used? For most games, you have to snap the Wii remote into the center of the wheel. Place your hands at 9-o-clock and 3-o-clock as if you’re driving a car. You can use your left thumb to use the A button, right thumb for the D-pad, and many wheels have a B button in the back, which you can operate with one of your other fingers. Then, you hold the wheel generally perpendicular to the TV screen, so the remote sensor can see the Wii receiver. It doesn’t have to be exact. Then, turn the wheel left and right as if you were driving a real car! Wii Wheels are generally quite sensitive, so don’t overdo it. It might take some time to get used to, as you have to isolate the muscle motions so you only turn left and right. You don’t want to jerk the wheel around a lot, as it will confuse the system and your car won’t do what you want it to do. 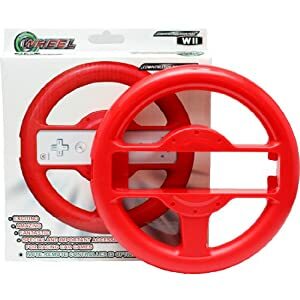 What Are The Different Wii Wheels? Wii wheels will generally fall into two categories: Nintendo-official wheels and third party wheels. Third party wheels are produced by companies such as Logitech, CTA, Wu and Dreamgear, and are generally slightly less expensive. What’s The Difference Between Different Companies’ Wheels? Ease of use, price, and additional features comprise the main difference between the different wheels. Dreamgear’s wheel comes with a B button in back and suction cups on the bottom, so you can attach it to a stable surface while you play. Wu’s wheel is strictly best for the price – it is about half the price of a Nintendo-official wheel, but it doesn’t have a B button and is as bare-bones as it gets. CTA’s wheel comes with a sleek design and nifty lights, while Logitech offers a proprietary wheel controller which doesn’t require you to clip in a Wii remote. Logitech’s wheel is specifically designed for easy button access, with a base that can attach to any surface, but it’s bigger, bulkier, and costs more. Note that it is often somewhat difficult to force the Wiimote into various third-party wheels, as they want you to buy their own Wiimotes as well. The standard wheel is sturdy, basic, and extremely well-crafted. It has a large B button extension in back of the left thumb. It’s just gray plastic though – no bells and whistles. The Comfort Wheel is padded, has additional color options, and generally looks a little cooler. It delivers more precise performance than the standard wheel, perfect for high-speed games like GT Pro Series and Need for Speed, and offers better battery life. 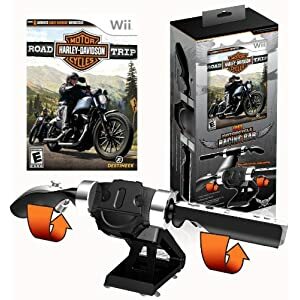 For ExciteTruck, many players have reported difficulties in using the Wii Wheel to perform tricks, as the wheel needs to be shaken up and down while driving. 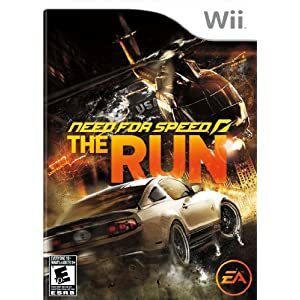 In the Need For Speed games, two Wii Wheels can’t be connected at the same time. 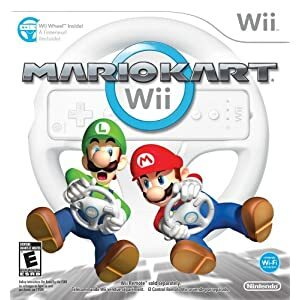 In Mario Kart Wii, players can perform wheelies by flicking the Wii Wheel up. Fun! Ultimately, the Wii Wheel is an extremely fun toy to use in tandem with the already fun Nintendo Wii. With so many options for ways to use it, you should study this article and choose the games and types of wheel you think best suit your playing style. Enjoy, and happy driving!